I hope that this newsletter finds you in good health and joyful spirits. As we enter the holiday season, I am pleased to inform you about a number of new projects and performances on the horizon. I have joined forces with my long time student and now colleague, Jessica Lewis. Jess has set up her own company, Jessica Lewis Arts under the auspices of Andrew Jannetti & Dancers. With that in place we have decided to work together to present an evening of choreography. We will be working on new pieces that are choreographed separately as well as co-choreographed and performed by new and veteran company members. We are very excited by this new venture and have already booked a performance space for June 2016. More info on that will be available at our fundraiser in December. On some other fronts: my job at P.S. 79 in Queens is going really well and my Boy’s Movement Class at BAX as well as my work as the director of their school breaks programs is spectacularly fun and fulfilling. During these past two years I have been involved with the DELTA team of facilitators for the NYCDOE citywide professional development, as well as a facilitator for the brand new Borough-wide Professional Development Arts Mondays. All really exciting stuff. The past few years have been a whirlwind of excitement and growth. 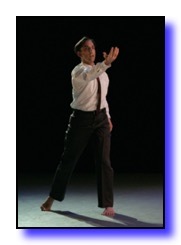 I established my own dance company in collaboration with Andrew Jannetti and Dancer’s. Jessica Lewis Arts is a interdisciplinary dance company with an educational focus. Many of you have watched me grow up dancing with Andrew and the company. Andrew gave me something most children do not receive: a chance to dance and choreograph in a professional company. Through my teaching practice, I have been able to integrate my own students into our dance family. Coming off a successful run at Brooklyn Arts Exchange in May 2015, we are excited to show you excerpts from our new work being presented in June 2016! I am currently finishing my Master’s in Dance Education at Hunter College and am teaching dance at a small International school in Brooklyn (The International School of Brooklyn). I wanted to take this time to thank those of you who have watched me grow and learn as a dancer throughout my life, and I cannot wait to show you what happens next!